Being able to tell when the real estate market is about to change can help you to save money. 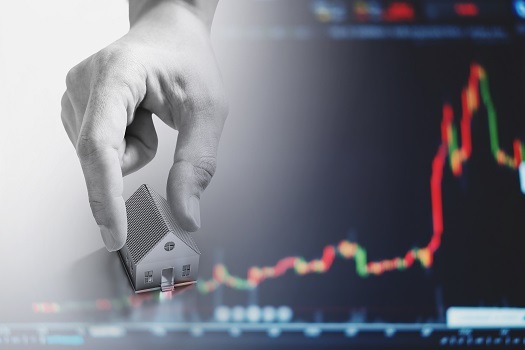 You can avoid putting a lot of money into a home right before its value drops, or you can make a big profit by purchasing a property before prices soar. This idea might be simple in theory, but being able to figure out if market trends are about to shift can be tricky. Follow these tips to see if the market for San Diego real estate downtown is starting to change. Monitor your local real estate market to get an idea of how many homes are for sale at any given time. Low inventory is an indication that demand is high. Prices may begin to increase as more and more buyers are competing for a limited number of properties. A higher than normal number of homes on the market may be a sign prices are about to drop due to an excess supply. Government policies for real estate can quickly make a whole market change. Increased taxation for foreign buyers or those who own properties can cause a slowdown to start. Policies that relax regulations on lending or reduce property taxes can make the real estate market increase prices and sell homes faster. If you start to notice many of the homes on the market are lowering their asking price, it’s a sign the real estate market is beginning to slip. You should be wary if you realize more and more homes are lowering their price by 10 percent or more. You should also take the time to look at the average days on the market for homes. The number of days it takes a home to sell often starts to decrease right before real estate prices soar. There are often subtle signs that a neighborhood is up and coming. You may notice more and more properties in the area are getting renovated, which is often a sign that property values in the area are about to increase. Increased local infrastructure, such as new bus lines or bike lanes, is also a way of determining if more people are interested in living in the area. Look into local inflation rates and see if they’re comparable to shifting real estate prices. If home prices are escalating significantly faster than inflation, you may currently be in a real estate bubble with homes being overvalued. It’s possible to make a profit in this situation, but be wary of overextending and buying something you cannot sell before the bubble bursts. The above rules apply whether you’re interested in lofts, penthouses, or condos. Little Italy San Diego currently has quite a few great properties on the market, but you should make sure to work with a knowledgeable local real estate agent so you have the inside track on possible changes in the market. Call 92101 Urban Living today at 619-649-0368 to schedule an appointment.